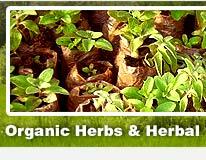 AayurMed offers a large selection of certified organic foods and ingredients in many local varieties. These are available in whole, flours, broken, cut and sifted, with skin, without skin and in other forms. Organic food is certified by OneCert under NOP of USDA, European Commission Regulation (EEC) 834/2007 and Regulation (EC) 1235/2008 and NPOP of India. Other certifications can be obtained, if required. AayurMed offers organic cotton fabrics and garments. Also available are Ayurvedic garments that have been died in Ayurvedic herbal decoctions to help enhance the healing and rejuvenation. AayurMed also offers a variety of Aromatic oil diffusers made of Ceramic, Stone or Terracotta. AayurMed also offers a variety of natural incense materials and sticks. AayurMed also offers a variety of Mortars & Pestles made of marble, porcelain, metal etc. Please enquire for different designs and sizes. As a part of our corporate social responsibility, we offer a platform to local artisans and craftsmen to market their art and craft. 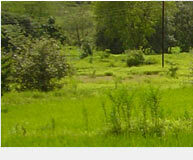 Our main farm is located in a belt inhibited by the Warli tribe (known as Warlis). The Warlis are famous for a natural and organic art form. They use only natural organic substances to prepare some very imaginative and creative but simple master pieces of folk art. We offer paintings made by these artists with organic colours as well as synthetic colours. We also offer paintings, handicraft items sourced from master craftsmen and artisans of different tribes and geographies.